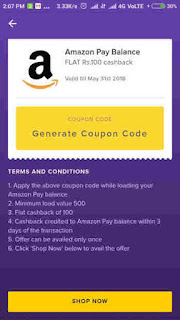 Amazon Add Money Cashback Offer :- Amazon Pay Balance is one of the best way to shop on Amazon as you don't have to add your Debit/Credit Card details every time. 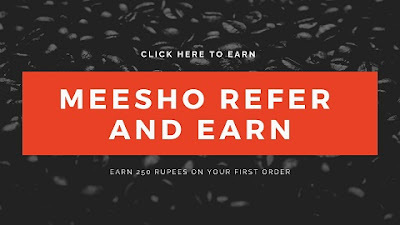 Moreover of this amazon also gives some cashback discount using their Amazon Pay Balance while placing order for your desired products. 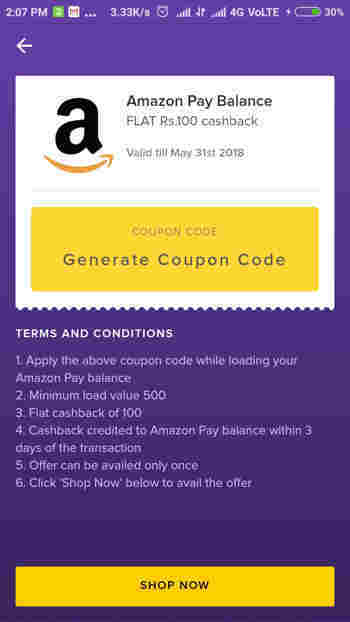 Amazon also runs some best adding cashback offer into their Amazon Pay Wallet. 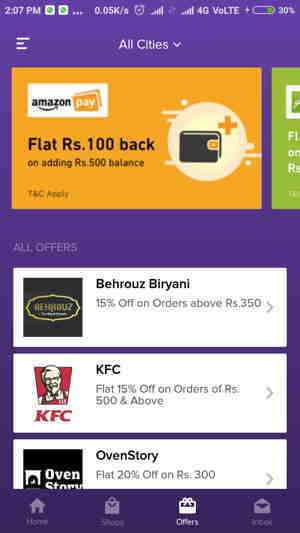 Now you can use Zeta App or their Zeta Card to add money on Amazon Wallet to get 20% cashback up to 100 Rs on adding of 500 Rs. Why to Add Money in Amazon Wallet ? Best way to pay instantly for your order if you are using amazon pay balance. As we don't have to always put OTP for order instant alert deals aka Lighting deals on Amazon. It's quick easy and safe. If somehow you canceled your order then the paid amount of amazon pay balance reverted back to your Amazon wallet immediately, whereas it takes couple of days to credited back into your bank account or debit/credit cards if you have paid using other options. So today in this post that is "amazon add money offer". 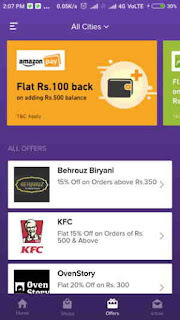 We are going to tell you how you can get cashback upto 100 Rs on adding 500 Rs into your amazon pay wallet. 2. Create a new account or login your old existing account. 3. Now go to the Offer section. 5. Click on Generate Code. 6. You'll get the unique code. How To Add Money on Amazon Pay Wallet. 1. Go to the Amazon Pay adding money Option. 2. Now Enter the amount to add i..e 500 Rs. 3. After that select your Debit/Credit Cards. 4. Now at the "Review Your Order" page you'll see "Promotional Codes". 5. Enter the Cashback code which you generated on Zeta App. 6. Done ! You'll instantly get flat 100 Rs Cashback.